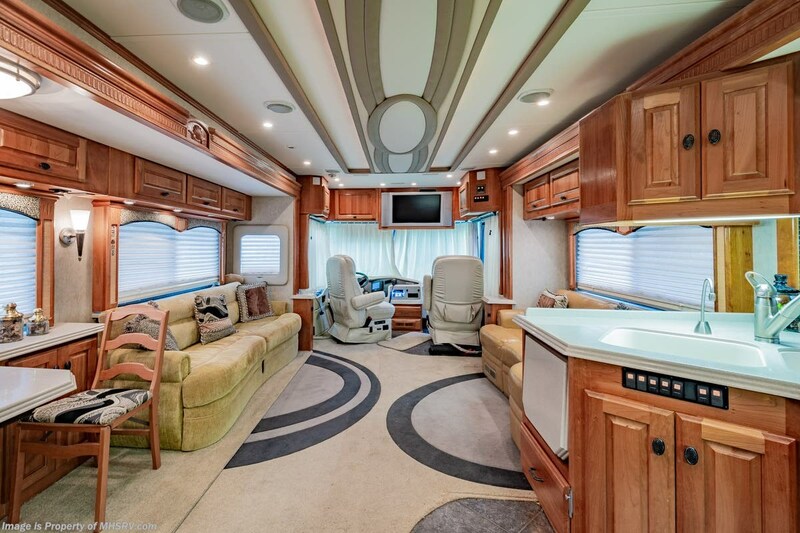 /sold 12/7/18 Used Monaco RV for Sale- 2005 Monaco Dynasty Platinum IV with 4 slides and 44,041 miles. 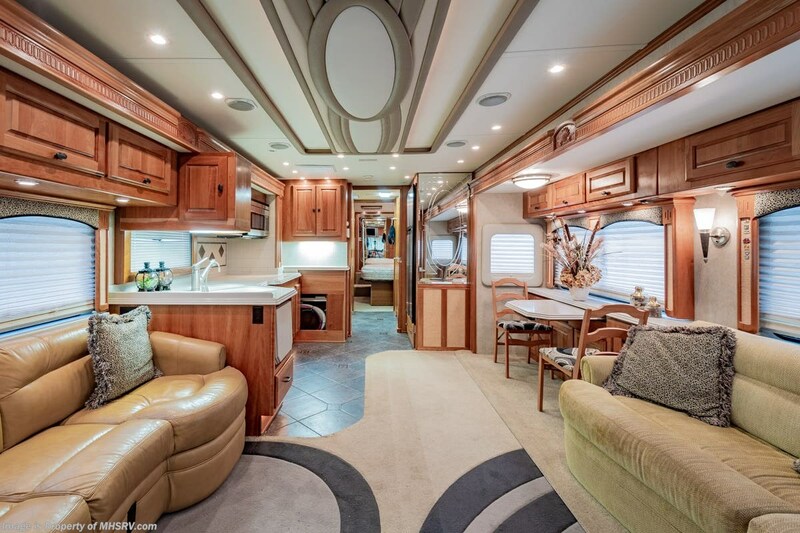 This RV is approximately 39 feet 5 inches in length and features a 400HP Cummins diesel engine, Roadmaster chassis, automatic hydraulic leveling system, aluminum wheels, rear camera, 3 A/Cs with heat pumps, 8KW Onan diesel generator, tilt/telescoping smart wheel, engine brake, power pedals, power visor, keyless entry, power door locks, power patio and door awnings, window awnings, slide-out cargo tray, pass-thru storage with side swing baggage doors, docking lights, water filtration system, power water hose reel, 50 amp power cord reel, exterior shower, clear front paint mask, fiberglass roof with ladder, solar, inverter, dual pane windows, power roof vent, day/night shades, solid surface kitchen counter, convection microwave, 2 burner range, glass door shower, combination washer/dryer, 2 TVs and much more. For additional information and photos please visit Motor Home Specialist at www.MHSRV.com or call 800-335-6054.